Motor: Two-cylinder air cool, direct-opposed engine with 4” diameter bore. Motor Buggies could be ordered through the old Sears & Roebuck Catalog. 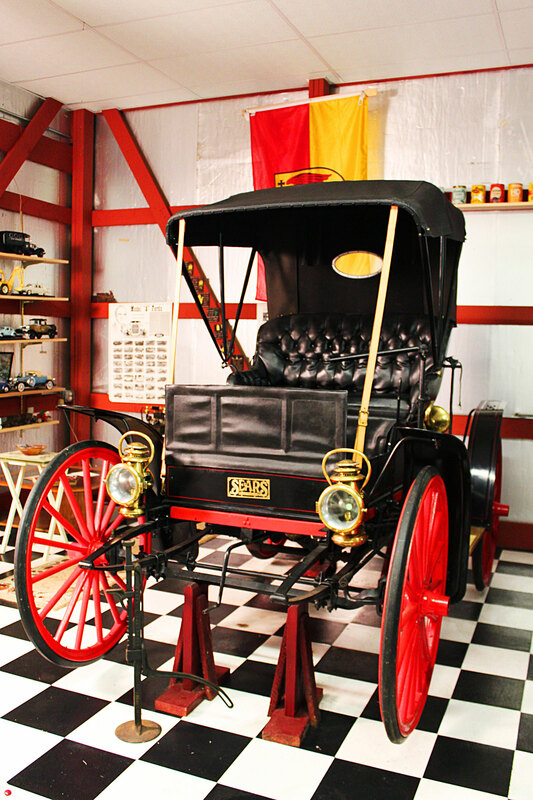 This 1909 Sears Motor Buggy was donated by Mr. Charles Anderson and restored.